One of the biggest problems with studying the Wars of the Roses, and Richard III in particular, is the sheer number of relentlessly sticky myths that cling to so many aspects of the story. It’s like finding a dried-on piece of chewing gum in the tread of your shoes. It defies efforts to pick at it, pull it away and dispose of it. Even if you manage to get rid of most of it, remnants linger to remind you that it isn’t ever completely gone. For those who disagree with Ricardian, revisionist ideas, I’m sure Ricardians are the irritating chewing gum. We just don’t shut up about the holes we see in accusations laid against Richard. While writing my doorstep of a biography (plug, plug – buy it now), I tried to directly address as many of the myths as possible, but I also found a new one that serves to demonstrate some of the forces at work after 1485 and the problems with sixteenth century sources on Richard that are all-too-often relied on without question. This moment revolves around one of the most infamous dates during 1483: 13 June, the meeting at the Tower of London that led to the execution of Lord Hastings. It doesn’t exactly relate to Richard, or indeed to Hastings, but I think it amply demonstrates the myth-building and distortion of truth in the early sixteenth century that has been widely accepted ever since. These sources appear important. We are constantly reminded that both writers had access to men who had lived through the events, so were working from eyewitness testimony that all but assures their veracity. If we look at the three contemporary, or very near contemporary, sources that discuss the events at the Tower on 13 June 1483, something leaps out at me. It is fascinating that one man plays a central and prominent role in sixteenth century records of this event but is entirely unmentioned by contemporaries: Thomas, Lord Stanley. Crowland is clear that only Hastings, Rotherham and Morton were under suspicion and mentions no other person being involved. Mancini identifies the same three as the men Richard would deem Edward V’s chief supporters, though he seems to suggest others may have been present. The anonymous record adds a fourth figure, Edward IV’s Secretary of the French Language Oliver King. Although he adds that others were arrested, he, like other contemporaries, fails to identify a man as well-known as Lord Stanley, whose arrest would surely have been a scandalous moment more noteworthy than that of Oliver King. It has always struck me as odd and unlikely that Thomas Stanley was implicated in the business at the Tower enough to be arrested or injured. On 6 July, less than four weeks later, he would appear in a position of prominence and honour at Richard III’s coronation and his wife, Lady Margaret Beaufort, would carry the queen’s train. This seems like an odd way to treat a man who three weeks earlier had been central to a plot against Richard, or at least Richard was claiming there was such a plot and later sources claimed Stanley was at the centre of the storm. Rotherham and Morton remained under arrest, yet Stanley was free. Hastings was dead, but Stanley alive and at the coronation. What I had failed to notice until researching this book was that no contemporary places Thomas Stanley at the Tower on 13 June 1483. He only appears at the meetings in the accounts penned in the early sixteenth century by More, Vergil and other Tudor writers. This is highly suggestive of a fabrication. It seems likely to me that Thomas Stanley inserted himself at the meeting to raise his profile as a dedicated supporter of Edward V. His family would use poetic devices like the Ballad of Lady Bess, which paints Thomas as a father figure to Elizabeth of York, the sister of the Princes in the Tower and queen to Henry VII. There was obviously a concerted effort to align the Stanley family with the House of York, though not with Richard III, after 1485. The addition of a dramatic flourish that sees Stanley wounded in the scuffle at the Tower smacks of him trying to make out that he took one for the team that day, suffered because he sought to champion Edward V and prevent the evil of Richard III. It was a neat trick that allowed him to slide comfortably into Tudor England by virtue of his Edwardian Yorkist credentials, as a friend and protector of the queen, whose brothers he had tried desperately to save from their wicked uncle. It was a lie, if the evidence of those writing in the immediate aftermath is to be believed. The importance of this episode is that it demonstrates precisely how later mythology has been layered up around Richard III’s story. If the witnesses used by More and Vergil were making things up, as Stanley seems to have been, then how reliable is the rest of their evidence? As the dust began to settle after the Battle of Bosworth, men needed to distance themselves from Richard III’s regime in order to find a place in the new order of Henry VII. It is for this reason that the composition of Richard III’s only parliament in 1484 is lost. Those who sat passed into law the act that confirmed Richard as king and made Edward IV’s children, including Henry’s queen, illegitimate. None would willingly admit to being a part of that. Most distanced themselves from Richard III. Crowland conspicuously excuses decisions he was involved in by claiming all London was utterly terrified of a vast northern army that never arrived and which Richard never called for. A few hundred were mustering at Pontefract, but London would have been well able to keep them out. It is excuse-making by men who hoped to retain their positions of power in the new regime. Stanley is one of the few men who led his family through the Wars of the Roses to emerge not only unscathed but improved. His masterstroke as Henry VII got his feet under the table was not to fawn to the new king, but rather to align himself with the family of Edward IV, and to claim that his loyalties had always firmly laid there. He had been a defender of Edward V and positioned himself as a guardian of Elizabeth of York. It was another example of Stanley caution and intelligent planning. In terms of Richard III, we can see clearly how and why myths emerged by the start of the sixteenth century. As early as 1485, after Bosworth, men were being careful to distance themselves from Richard III if they hoped to retain influence. Those who acted as witnesses for the accounts prepared by More, Vergil and others had agendas, and the willingness to fabricate incidents such as Stanley’s presence, arrest and injury at the Tower of London on 13 June are incredibly telling. What else was untrue, or at least embellished? The same regime, populated by these men, presented information to discredit Lambert Simnel and Perkin Warbeck, made a great deal of Richard III’s supposed plan to murder his wife and marry his niece. The same men and the same writers constructed the stories that many cling to today regarding the disappearance of the Princes in the Tower. If Stanley’s recorded part in the events of 13 June 1483 is a lie, fabricated to fit an agenda, how much more of the accepted, traditional story is similarly flawed? Matt Lewis is the author of several non-fiction histories on the Wars of the Roses period, including a biography of Richard, Duke of York, a biography of Richard III and The Survival of the Princes in the Tower. His Amazon Author Page, where all his books are available, can be found here. Why Is It Called Buckingham’s Rebellion? The first serious threat to Richard III’s kingship came in mid October 1483, just four months after his coronation. It is hard now to properly judge the popular reaction to the new king and his seizure of power, but the fact that such a real threat came so swiftly points to some disaffection even during the honeymoon period. As Richard was progressing around his new kingdom refusing gifts of money and contenting “the people wher he goys best that ever did prince”, as Thomas Langton, Bishop of St David’s enthused, others were clearly less upbeat about the new king. 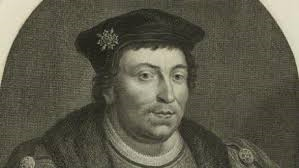 When rebellion came, it was famously to involve Richard’s closest and most powerful ally of the last few months, Henry Stafford, Duke of Buckingham. The Duke was to give his name to the uprising, but was this simply an early sleight of hand trick by … well, more on that anon. Although Buckingham’s Rebellion would fail it is important to understand just how large and well organised a threat it really was and how fortunate Richard was when it finally broke. It is the nature of regimes, especially new ones seeking to put down roots, that rebellion should be understated, but we should not let that blind us to the size and complexity of what was planned. The rebellion was to take place on 18th October, St Luke’s Day. It is likely people took less notice of the calendar date than feast days in mediaeval times and it is telling that huge royal events always coincided with feast days. So word would have spread that the Feast of St Luke was the day. Kent was set to rise and attack London from the south east, drawing Richard’s attention that way as men of the West Country, Wiltshire and Berkshire, swelled by Buckingham’s Welsh army crossing the Severn and Henry Tudor’s force of Breton mercenaries landing, probably, in Devon moved in from the west. With Richard’s attention on Kent, they would fall on him, catching him unawares, and bring down the might of their combined dissatisfaction upon him. But how had Richard come to this so swiftly? In June his coronation had been a triumph. He had been well received all around the country, particularly in the north. Perhaps this is precisely where the problem began. Richard was something of an unknown quantity in London, and after the troubles that seemed barely behind them, few can have looked favourably on more uncertain times and more regime change, especially when this new arrival descended from the north and openly favoured the region. There will come a question of self-fulfilling prophecy to add to the cauldron of confusion. The mystery of Buckingham’s turning of his coat is as fascinating as it is impossible to solve. 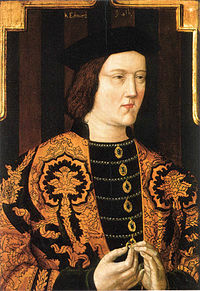 He may have fallen out with Richard over the fate of Edward IV’s sons, though even this possibility is sub divided, since Buckingham may have been appalled by a plan outlined by Richard to do away with the boys, or Buckingham may have vehemently argued that it must be done only to be denied by Richard. Perhaps Buckingham saw some revenge against the Woodville clan he had been forced to marry into by killing two of its matriarch’s sons. The sources offer as much weight to a prevailing view that Buckingham had killed the boys as Richard had, and Buckingham had lingered in London for several days after Richard left on his progression. Simply, we have no answer to this, only possibilities that warrant examination. We do know that Buckingham had long coveted the return of the vast Bohun inheritance, withheld from him by Edward IV. Richard was in the process of restoring this to Buckingham, awaiting only Parliamentary approval, but perhaps this was too slow for Buckingham’s liking and fed a niggling doubt that he would ever get it back. There are two figures who probably do feature prominently in Buckingham’s defection, and possibly play a role that burrows much deeper into the foundations of Richard III’s rule. This inseparable and unstoppable duo are John Morton, Bishop of Ely and Margaret Stanley (nee Beaufort). I know that much is made of Margaret Beaufort’s involvement or lack thereof in, for example, the fate of the sons of Edward IV, but it remains too little examined for me. I have no doubt that many will take objection to what I offer, but I do not present it as fact, merely as a possible interpretation of what happened. I disagree with the view that Margaret Beaufort could not possibly have been involved in anything that went on as much as I do with the view that she definitely killed the boys. The Tudor antiquary Edward Hall wrote some 60 years later that Margaret Beaufort had chanced to meet Buckingham on the road near Bridgnorth as she travelled to Worcester and he returned to his lands in Wales. She supposedly pleaded with Buckingham to intercede with Richard on her behalf, to use his influence to secure the safe return of her son and his marriage to a daughter of Edward IV, an arrangement that had been close to fruition when Edward suddenly died. There is little of rebellion herein, except that, if this discussion ever took place, Margaret was making it clear to Buckingham that Richard was not one who seemed willing to deliver what had been hoped for under Edward, sowing seeds of doubt that Richard would deliver anything. Of little consequence to Buckingham, perhaps, but he was still hoping for those Bohun lands. If a seed was sown, it was keenly tended by Bishop Morton when Buckingham reached Brecon Castle. The Bishop had been released from the Tower following the events surrounding Hastings’ execution into Buckingham’s care under a gentle form of house arrest. Morton was mentor to a young Sir Thomas More and it seems likely that More’s version of Richard stems from Morton, a man who seems to have hated Richard with a passion. An ardent Lancastrian, Morton had been reconciled to Edward IV’s rule after Tewkesbury and the death of the line of Lancaster. Buckingham’s family had been staunch Lancastrians too, his grandfather dying at the Battle of Northampton fighting to protect Henry VI. Morton apparently tugged at latent Lancastrian sympathy, perhaps even giving Buckingham hope of the throne for himself. The seed was fertilised and shooting. The Bishop must have been pleased with his work. This is where many will disagree with my suggestion, but I think it is possible that more cultivating was going on in London at the same time. 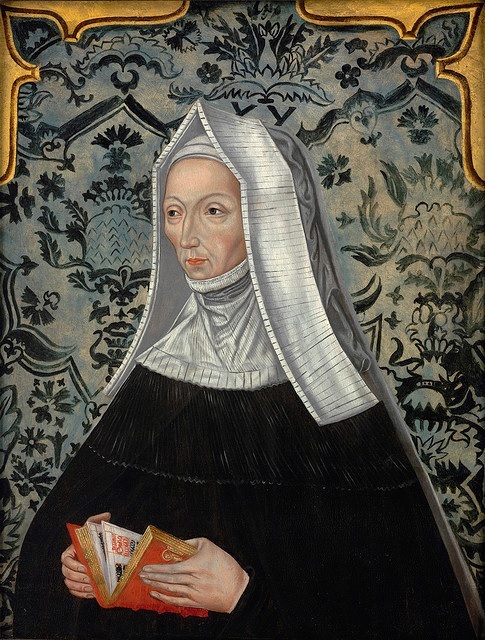 Margaret Beaufort wanted her son back. She seems to have decided that he would return best by seizing upon the discontent that bubbled around Richard to make himself king. I don’t subscribe to the view that she spent his entire life plotting to make him king, only that she desperately wanted him back and saw an opportunity to good to miss. An all or nothing gamble. But if she was going to gamble her precious only son, she would need to swing the odds as far in his favour as possible. It is known that Margaret opened a channel of communication to Elizabeth Woodville in her sanctuary in Westminster Abbey. Unable to risk personal visits, Margaret’s physician, Dr Lewis Caerleon acted as a go between, serving Elizabeth as her physician too. By this medium a pact was reached. Elizabeth Woodville would call out her family’s support and, far more importantly, her late husband’s loyal followers, in support of Henry Tudor’s bid for the throne in return for an assurance that Henry would marry her daughter Elizabeth, making her queen if he were successful. This is a momentous moment in 1483. It marks the acceptance by Elizabeth Woodville that her sons’ cause was dead, and probably her acceptance that they were dead too. She must have been certain of this to offer all of the support she could ever muster to another claimant to what she would have viewed as her son’s throne. Surely she would only do this with certain knowledge of their death. How did she come by this knowledge? Since it was not known throughout London and the country what had become of the boys, and still isn’t to this day, she clearly had ‘information’ we do not. Where did this information come from? It seems likely to me that the source was Dr Lewis Caerleon, passing on sad news from Margaret Beaufort. This does not mean I’m accusing Margaret of doing the deed, or of having it done (though I don’t think that’s as impossible as many like to make out). I am suggesting that she saw an opportunity to improve her son’s chances by feeding a story to a desperate, lonely mother in sanctuary, starved of information and desperate for news of her son. What would better turn the former queen and all of the Edwardian Yorkist support against Richard than news of the death of her sons whilst in his care? The suggestion was probably more than enough. There, I said it! Margaret lied to Elizabeth Woodville about her sons to secure her support. As the Feast of St Luke approached, the rebellion looked in good shape. It was large and was a very, very real threat. But then it began to fall apart. The rebellion relied too heavily on everything going to plan. When a spanner was thrown into the works, the carefully constructed machine fell apart. That spanner was thrown when some of the rebels in Kent showed their hand too early. They marched on London on 10th October for some unknown reason, eight days too early. John Howard, Duke of Norfolk, Richard’s loyal friend, was in London. He swiftly saw off the rebels, capturing enough of them to get details of the rebellion planned for the following week. Richard III was at Lincoln when news reached him on 11th October of the false start, and of the rest of the plan. He called a muster at Leicester and set out to crush the rest of the waiting rebels. Orders were sent for bridges over the Severn to be destroyed to prevent Buckingham from leaving Wales and the border region was ordered to resist any attempt by Buckingham to cross it. On 18th October, the plan swung into action, but the weather now seemed to work in the king’s favour, no doubt a sign of God’s favour in the days when men were keen to see signs wherever possible. A tremendous storm battered England. It rained for ten solid days. The River Severn was swollen and ferocious, bursting its banks at many points. With bridges slighted, Buckingham could find no crossing and his less than keen Welsh levies were happy to desert him in favour of home and hearth. In the Channel, Henry Tudor’s fleet had been scattered by the same storm. When his ship, possibly alone, at most with one other left for company, finally reached the south coast, he was hailed by a group of soldiers as a victorious conqueror. Buckingham had, they called from the shore, succeeded in full and now keenly awaited Henry’s arrival. Ever astute and suspicious, it is not hard to picture Henry narrowing his eyes in the driving rain just off the coast. If it sounded too good to be true, it probably was. Henry turned his ship about and aimed it back at Brittany. His shrewd caution doubtless saved his life. Buckingham was forced to flee, taking refuge in the house of one of his men, Ralph Banastre. Before long, the promise of a hefty reward caused Banastre to hand Buckingham over to Sir James Tyrell, who escorted the Duke to Salisbury. Buckingham supposedly begged for an audience with his erstwhile friend the king. Richard resolutely refused to allow the Duke into his presence. The feeling of betrayal was plain when, at news of Buckingham’s part in the rebellion, Richard wrote from Lincoln to John Russell, Bishop of Lincoln, requesting that he send the Great Seal, raging in his own hand against “the malysse of hym that hadde best cawse to be trewe, th’Duc of Bokyngham, the most untrewe creatur lyvyng”, adding that “We assure you ther was never false traytor better purvayde for”. To a man who seems to have seen things in black in white, this betrayal of trust was utterly unforgivable. Though this facet of Richard’s character was to cause him great problems in other ways, it probably served him well in this case. 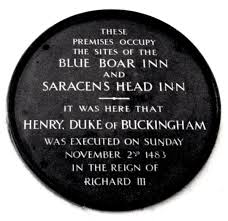 Buckingham was beheaded as a traitor in Salisbury market square on 2nd November. So, it seemed, Richard had swiftly, decisively and effectively crushed the first uprising against his rule. Buckingham was dead. Tudor had scurried back to Brittany, though evaded capture. It was clear that Morton and Margaret were heavily involved in the plot, and it must have seemed as though God had sent the storms to thwart Richard’s enemies, proving that he was the true king, chosen by God. How Richard dealt with the aftermath of this rebellion was to be key. And I think that he dealt with it poorly. Morton escaped, fleeing first to the Fens and then taking a ship to Flanders where he hid from Richard’s vengeance and continued to plot. Margaret Beaufort, though, was cornered. Richard’s response to her part in the scheme to place her son upon his throne is remarkable, particulary for those who view Richard as a merciless, ruthless tyrant. Margaret was, in effect, let off. Her lands were forfeit, but were granted to her husband, Thomas Stanley, the same man Richard had arrested as a traitor in June. She was placed under house arrest in her husband’s care. He was to make sure that she made no contact with her son. I can’t imagine what assurances Stanley offered to make Richard believe that he would do as instructed. It was Richard’s mercy, and perhaps naivety, that sealed his fate. Beheading women would have to wait for the Tudor era. 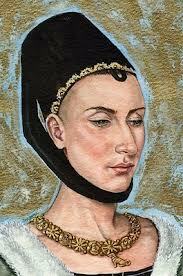 My suggestion is that from the very outset of Richard’s rule, Margaret Beaufort spied an opportunity. If she could not have her son returned to her by peaceful means, then she would craft for him the opportunity of the grandest possible return to England. Perhaps she fed Elizabeth Woodville lies to make her believe that Richard had killed her sons, whether Margaret was aware of their true fate or not. The revelation of the truth could then be what drew Elizabeth and her daughters from sanctuary to Richard’s court a few months later. Whether that revelation was of her sons’ murder at the hands of another, perhaps Buckingham, or of their survival we cannot know, but this version of events at least helps to make her actions more understandable. 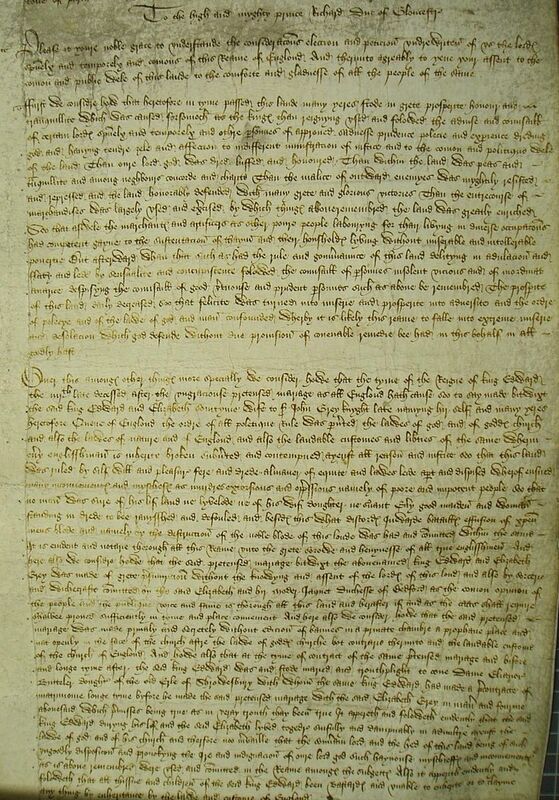 This is to view Buckingham’s rebellion as a thin veil drawn over a Tudor plot. His name given to protect others because his life was lost. The extent of these roots may be larger than we know and stretch right back to the very beginning of Richard’s rule. How much of the disaffection against Richard in the south was stirred up deliberately, planting and cultivating opposition to Richard in order to reap support for Henry? It took two years longer than hoped, but the harvest came in finally. 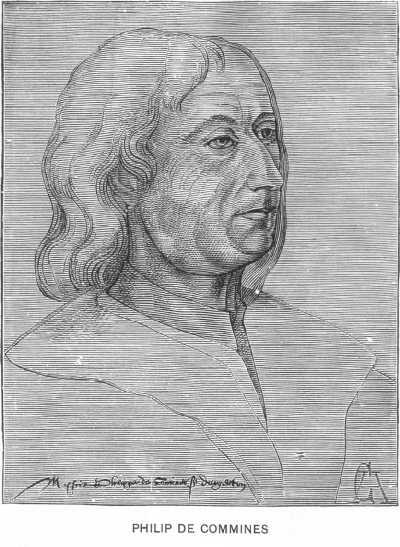 Opposition to and resentment of Richard’s rule only grew when he reacted to the south’s revolt by planting his loyal northern allies across the south. This is perhaps the self-fulfilling prophecy that I mentioned earlier. If men feared Richard would force his northern friends into their region, they made it a certainty by rebelling. If Margaret had used this fear to ferment opposition, Richard played into her hands by doing precisely what the southern gentry feared most – taking their land, money and power away from them. But what choice was Richard really left with? Already, he was being forced to paint himself into a lonely corner. I just wonder how much of this was some overarching Tudor scheme. I remain unsure whether the sleight of hand here was the work of Richard, to disguise Tudor’s threat, making Buckingham the prime mover and demonstrating his fate, or that of Margaret Beaufort, Thomas Stanley and Henry Tudor, concealing the threat they still hoped and intended to pose. Ricardians will lament the missed opportunity to remove Stanley in the Tower in June and Margaret following this uprising in October. Without their driving force, determination and resources, would Tudor ever have reached England again? It is testament either to Richard’s naivety, their cunning, or both that they survived to see him fall at Bosworth two years later.